Erika Vela | PLEA SANTON Local children visited with Blue Santa and received stuffed animals and gifts donated by the community. 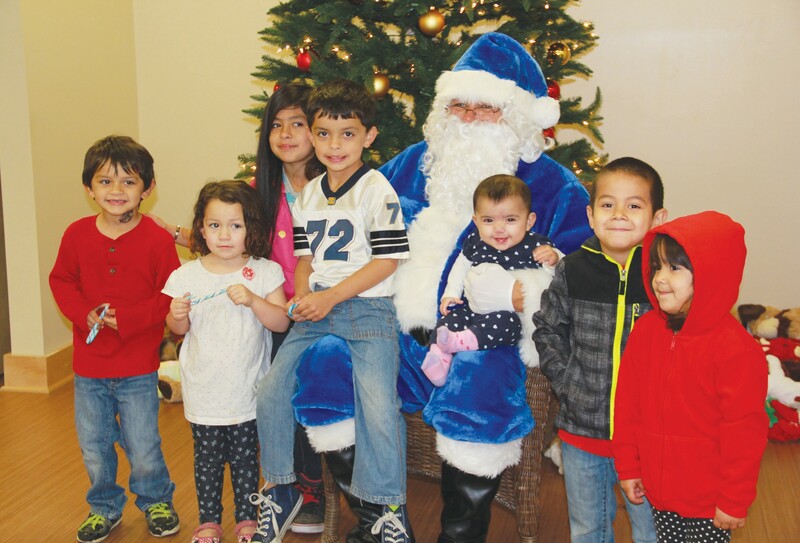 Blue Santa arrived on Sunday, December 13 at the Pleasanton Civic Center to bring Christmas gifts and cheer to local children at a party held by the Pleasanton PD Blue Santa Program. This Christmas season 118 children received gifts by way of the Blue Santa program that is held annually. Monetary donations generously made by the Lion’s Club, Hurley’s, 3 Sisters Boutique, and a few anonymous donors contributed in making it all possible. A wave of support from the community also came by dropping off toys in the donation boxes at El Castillo, H-E-B, and The UPS Store. Along with gifts, 38 families received a box of food. Gwen Whitley played an instrumental role in helping getting the boxes together for the families. “It’s awesome the community came together to help that many kids and families. Thank you to everybody who donated and helped. We couldn’t have done it without everyone helping out,” said Amie Osbourne, Pleasanton PD employee. Blue Santa was assisted by police department officers and police department employees. The families were able to enjoy hot chocolate, cookies, and popcorn. Each child was also able to select a stuffed animal to take home with them that all surrounded the bottom of a decorated Christmas tree. 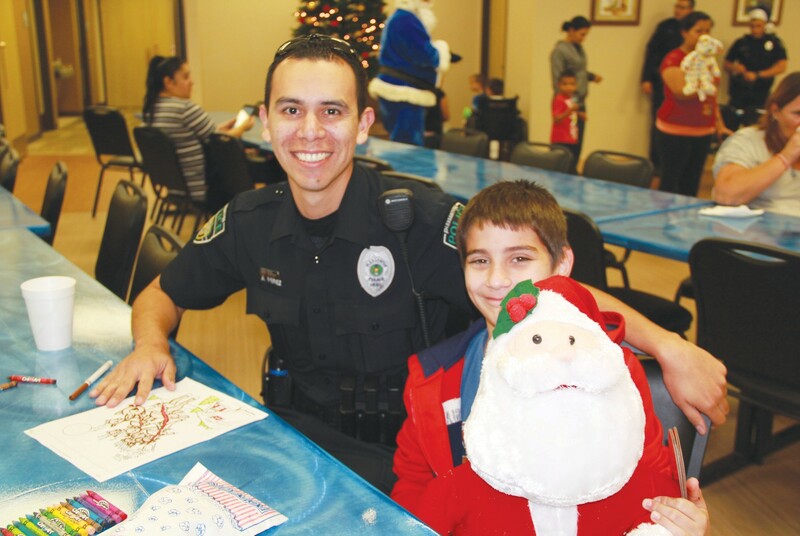 Officer Anastacio Perez visited with the children and colored Christmas coloring pages with 10 year old Donovan Alaniz. Alaniz was ecstatic about his interaction with Blue Santa and the officers present. 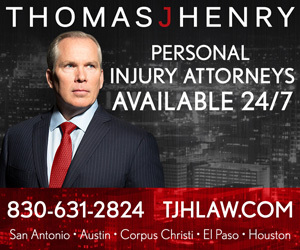 “This is the third year Donovan has been fortunate to be a part of this. Every year we’ve been limited on funds and it’s nice the community helps us out. It’s great they have the police offcers interact with them,” said Donovan’s mother, Jennifer Alaniz. Jessica Terpenning and her sons Kevin, 7 and Hunter, 4 smiled as they colored together and enjoyed snacks that were provided. “Thank you everyone for helping out and the PD for putting this together. It definitely means a lot to us,” said Terpenning. Officer Anastacio Perez interacted with Donovan Alaniz and other local children at the Blue Santa Party.